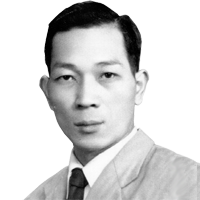 TIET KIU SAAM was the nickname of a fellow whose real name was Leung Kwan. He was born in Gwan Dong Lam Hoi in 1813. He loved martial and began studying at a very young age. Tiet Kiu Saam learned from the Abbot Gwok Yan of the Fu Kien Po Tim Siu Lum Temple. He lived in the temple as a layman monk for 7 years. He practiced intensively in Siu Lum Hung Ga under the watchful eye of his teacher. Later the Abbot monk Gwok Yan passed away at the age of 110 years old. Tiet Kiu Saam became saddened and left the temple. During his wanderings he happened upon a place known as "long bridge", where martial artists came to demonstrate and test their skills. He became very excited and wanted to demonstrate his skills. He had six men hold onto his extended arm and carried them 100 steps. He earned his nick name here for having an iron fore arm. The name Tiet Kiu Saam means "Iron Bridge Number 3". He was the third child in his family thus the three at the end of his nick name. 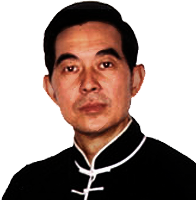 Tiet Kiu Saam was well known for helping people in the Mo Lum (martial arts forest) and was very respected Master of the late Ching Dynasty. He was also one of the 10 Tigers from Canton. When Tiet Kiu Saam arrived in Canton, he lived in the Hoi Tung Gi (Hoy Tung Temple). There he exchanged skills with the Abbot monk. He taught the Tiet Sin Kuen (iron wire form) to the Abbot and in turn was taught pole techniques. Tiet Kiu Saam was also well respected because he loved and never stopped learning martial arts, even in old age. He traveled to Sun Wui City to live and train at the Chang Ngum Gi (Chang Ngum Temple). Tiet Kiu Saam learned the Abbots Mui Fah Gwun (Plum Blossom Pole), which was very famous. 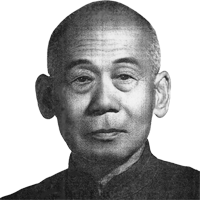 Master Tiet Kiu Saam is credited with creating the Hung Systems' most advanced internal training set the Tiet Sing Kuen (Iron Wire Form) He died in 1886 at the age of 73.